The air was still cold when she woke up. She laid up against a tree and Lewis joined her not too long after she had settled down. The two eventually retreated to the thicket to rest. Several hours later, the doe woke to water droplets beading off her coat. Lewis was gone. The doe stood up and wandered out into the rain. She stumbled across Alchemilla with Chevalier and another small fawn, a third fawn stood nearby. While standing conversing with Alchemilla, the third fawn came up behind Aspen and nipped her. The doe jumped forward and examined her rump. Perfect little teeth marks were indented in her fur. The two little fawns got up in an attempt to play with the third fawn. Aspen stayed near Alchemilla. Woke up in the thicket to find the rain has moved on. There was still a bite to the air. The doe got up and went for a walk to stretch her stiff legs. She stumbled on Zombie, whom she hadn't seen for a while. They greeted each other and wandered around. A little fawn came up to them and the three end up running around the forest together. The group eventually stumbled on Alchemilla and two fawns. Aspen and Zombie laid with them and the fawn went their separate way. Found Feeon, Alchemilla, Cennétig, and Chevalier and laid with them. Cennétig got up to greet a stag who found the group. The stag acted aggressive towards Cennétig. Aspen went over in hopes of breaking up the fight, but ended up chasing the stag around with Cennétig. He eventually left and everyone settled down again. 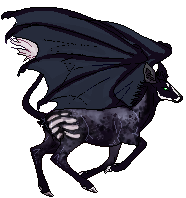 Anpiel found their way to them and brought a friend, Crescent. Jonah and Kokabiel arrived a short time later. Aspen noticed that Feeon started acting strange and when she looked around she saw Allu standing on a hill. The doe got to her feet and put herself in front of Feeon. Anpiel went to approach Allu but Aspen called him back and he hid beside Feeon. Allu went after the group, circling. Jonah and Aspen were on their toes watching him. Jonah led the attack, Aspen followed through with Crescent joining in. Alchemilla gathered the fawns together while the three fought off Allu. After a few minutes of chasing and fighting, Allu backed off but Jonah wanted to make sure Allu was far away and gave chase. Aspen followed him. The two chased Allu past the pond and stopped and watched him run towards the gods statues. They went back to the group and Aspen checked Feeon and Anpiel over. The tension eventually eased and the group settled down. The sweat and dirt from the fight and chased matted her thick winter coat. The doe cannot wait for her winter coat to shed. She always looks more horse like with the amount of hair she grows during the winter. Spring should be nearing, she can feel it. Aspen met up with Lewis, whom she found laying with Tristan. The doe greeted Tristan and laid down next to her son. Tristan eventually wandered off and Lewis fell asleep. Aspen found her daughter a short time later and led her to Alchemilla, Tristan and another deer. The two laid together for a while. Feeon eventually sneaked away. Lewis eventually went after his sister while Aspen tried to give them some time to explore on their own. But worry got the best of her and she got closer to where her son, daughter, and Kokabiel were. She laid down within ear shot away from them, near the big oak. Admittedly, she tried but she was unable to get over the anxiety of the young ones being alone after the fight a week ago and went up and laid with them. Zombie found his way to them and laid with them. A while later, Alchemilla found them and everyone started dancing. Feeon laid down after a while and everyone joined her while Kokabiel left to explore. Anpiel found his way to the group a short time later. After laying low for several days to recover, the doe's leg felt good enough to take a stroll on. She stumbled upon Alchemilla and her daughter, Chevalier. Aspen laid with them, taking the stress of her body off her leg. Later, she heard the calls of her son, Lewis. A few minutes later, Lewis showed up leading Anpiel to the trio. The doe got up and greeted the little fawn before settling back down next to Alchemilla. Lewis laid to her left and Anpiel laid close to him. Eventually she found Feeon and led her back to the group. Feeon, Lewis, Anpiel, Alchemilla, Chevalier and Aspen all laid together. With a warmer day, Aspen drank from the pond before finding herself running through the forest with a group of deer. After a while, she laid down and fell asleep. When she woke, she found Feeon nearby and greeted her. The two laid down up against a tree and relaxed. Eventually, Alchemilla joined the two. Feeon and Aspen made their way to the pond for a drink then went right back to Alchemilla. After a while, Feeon wandered off, and Aspen stayed with Alchemilla. Feeon came back a few minutes later and Lewis found them as well. Lewis and Feeon were growing up so fast. Zombie called for the group and the three met up with him. Aspen noticed Feeon acting strange towards a nearby deer, Allu. Allu then attacked the group. Aspen tried to fight back, but the little body of Allu was agile. Aspen persisted, chasing the mini around landing blows where she could. Zombie also helped, but tried to stay close to Feeon to protect her. Sustained some cuts and bruises during the fight and her left front knee twisted slightly. After chasing Allu a distance away, Aspen returned Zombie and Feeon. Zombie led them back to the mushroom circle. Feeon was shaken, Aspen was angry. A while later, he came back and lingered near the group. Aspen got everyone up and moved them back to where Alchemilla was. They found Anpiel on the way and took him to Alchemilla too. Eventually, everyone began to relax again and Allu didn’t come back. Aspen found Lewis and laid with him. The two eventually fell asleep. Aspen woke a while later to find that Feeon had made her way to the duo. She greeted the fawn. She was acting somewhat strange. A while later, Lewis retired to the thicket to rest. 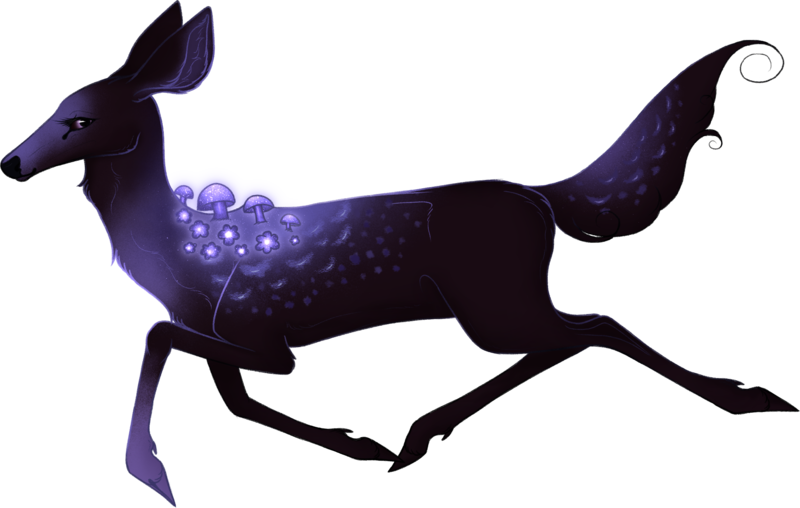 Feeon led the doe to a giant mushroom circle near the thicket and play ground, a group of fawns followed them. The group kept the two company for a while before running off to find more deer to play with. Feeon and the doe made their way down to the pond for a drink before drifting back towards a hill near the graveyard to lay down. Anpiel found the two and played for a while before making their way towards Zombie and Lewis. All five laid in the circle together until Aspen drifted off to sleep. The doe woke up in Zombie's circle alone. The doe called out, hoping for anyone to answer. Zombie called back and made his way to the doe. The two greeted each other and laid together. Eventually Lewis found his way to them and laid with them after playing with Anpiel and two other fawns. A few minutes after Lewis came back, Anpiel and the two other fawns joined the group. They all laid together in Zombie's circle. Feeon called out some time later. Zombie stayed with Lewis, Anpiel, and the small fawn while Aspen went to find Feeon. Greeted Feeon with a nuzzle and led her back to the group. Feeon was acting strange, not wanting to go into the circle with the others. She laid down outside of the circle and Lewis joined her. Aspen laid back near Zombie and the two other fawns. Eventually, Anpiel and the small fawn joined Lewis and Feeon outside of the circle. Aspen kept an eye on the fawns. The doe woke up in Zombie's circle alone. The doe called out, hoping for anyone to answer. Zombie called back and made his way to the doe. The two greeted each other and laid together. Eventually Lewis found his way to them and laid with them. Went to Zombie's usual spot to find he was not there. The doe laid in the circle and Lewis joined her a few minutes later. The two laid together and Lewis drifted off to sleep. The doe watched over her son, but the forest was quiet. The doe eventually drifted off to sleep. Woke up a while later to find Lewis and Jackalin gone. Ended up finding both of them near the graveyard with Tristan, Kokabiel, Cadaver and five other deer. The group laid together atop a hill. Lewis and Aspen eventually drifted off laying next to Jackalin. A while later wandered down near the pond to find Zombie. Greeted him and laid with him, and a short time later the two were joined by a fawn. The fawn left a while later and the two laid alone. Aspen made her way to the circle Zombie always lays in. Zombie was not there at the time. The doe laid down and eventually the doe Jackalin found her way to her. Jackalin laid with Aspen until she fell asleep. It was a very quiet and uneventful day in the forest. The doe found her son Lewis and Zombie laying in Zombie's usual spot. Eventually Lewis fell asleep next to the duo. Aspen heard Feeon calling and went to her. She greeted Feeon with a nuzzle and called for her son and Zombie. Zombie answered, woke her son up, and led Lewis to them. Aspen and Zombie laid together and watched Feeon, Lewis, Anpiel, and a couple other fawns play. Jonah, Tristan, Jakalin and a few other deer were nearby, also keeping an eye on the fawns. Zombie kept putting flowers on Lewis's head and eventually gave Aspen pink flowers to wear. She gladly accepted them. The doe drifted off to sleep, and when she woke she found she was alone. She made her way back to Zombie who was asleep in his circle. Aspen laid with him and eventually Lewis made his way to them. He laid close beside his mother to keep warm in the cold. The doe herself was laying close to Zombie for warmth. Lewis drifted off to sleep. Aspen still doesn't know Zombie's real name. Wandered back into the forest. Found Lewis in the thicket and laid with him for a while. Eventually needed a drink and made her way down to the pond. Decided to lay nearby underneath a tree. Her leg was still bothering her but it was getting much better with rest. Encountered Jakalin at the pond. Wandered off to find the Zombie Stag nearby at his normal place. Greeted him and laid with him. Eventually, she smelled Feeon and Lewis nearby. She and the stag went to them to find Feeon, Lewis, Tristan, Jonah, Anpiel and a doe. Laid with the group. Zombie left a few minutes later. Feeon and Anpiel got up to play and she played with them. Zombie eventually found their way back to them and played along. The fawns settled down eventually, Aspen and Zombie laid with them. Woke up in the thicket to hear Feeon calling. When the doe got to her, she saw Anpiel with her and a stag named Tristan. The fawns were playing together and Aspen joined in for a little, until her leg started to ache. Eventually, the two fawns settled down in a flower patch and Tristan and Aspen joined them. Woke up to another day in the forest. Found her son, Lewis, and laid with him. Once Lewis was fast asleep, the doe slipped off for a drink with her fawn safe in a thicket. While wading into the pond, her front right hoof slipped, twisting her leg. Stumbled upon a small group of deer, two stags, a fawn, and a small doe. Settled down next to the group near the gods. Eventually slipped into a deep sleep. Awoke to find herself alone. She made her way back to the thicket where her son was still asleep. Settled down beside him and let herself slip away. Woke up a good time later to hear Feeon calling. With Lewis still sleeping, the doe went to Feeon. Eventually, Feeon and her found one of the stags from earlier and laid with him. Feeon and the stag drifted off and Lewis made his way back to his mother. Lewis fell asleep beside her and Aspen watched over the three as they slept. After a while, Aspen woke the three up to move down to the pond for a drink. They decided to stay near the pond and laid together next to a tree nearby. The stag wandered off but the second orange stag from earlier found Feeon, Lewis and her. Lewis, who was extremely tired, decided to retire to the thicket to rest. Feeon, the orange stag, and Aspen traveled through the forest together. Finally, they found the zombie deer they had become fond of. Feeon and Aspen laid with the deer, basking in the sunlight peaking through the canopy. The orange stag, Lewis, and a fawn joined the small group. Feeon and Lewis slept close to each other with the third fawn laying near. Aspen watched over the fawns. Interesting, I had no idea that's why it wouldn't pull it up! It is nice to have a mystery deer hanging around, though.